+ 4. 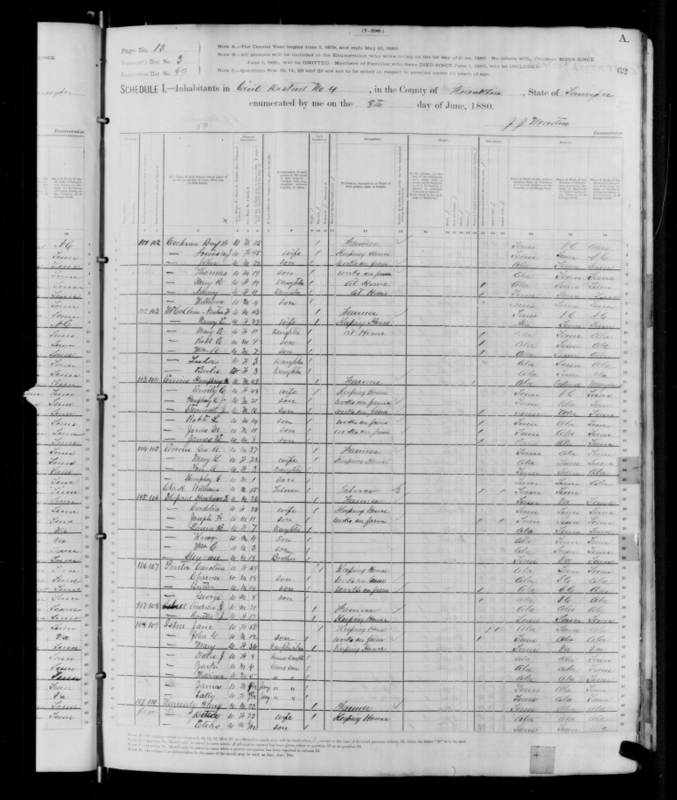 John Bengaman ISBELL, Sr.
[S263] 1900 United States Federal Census, Database online. 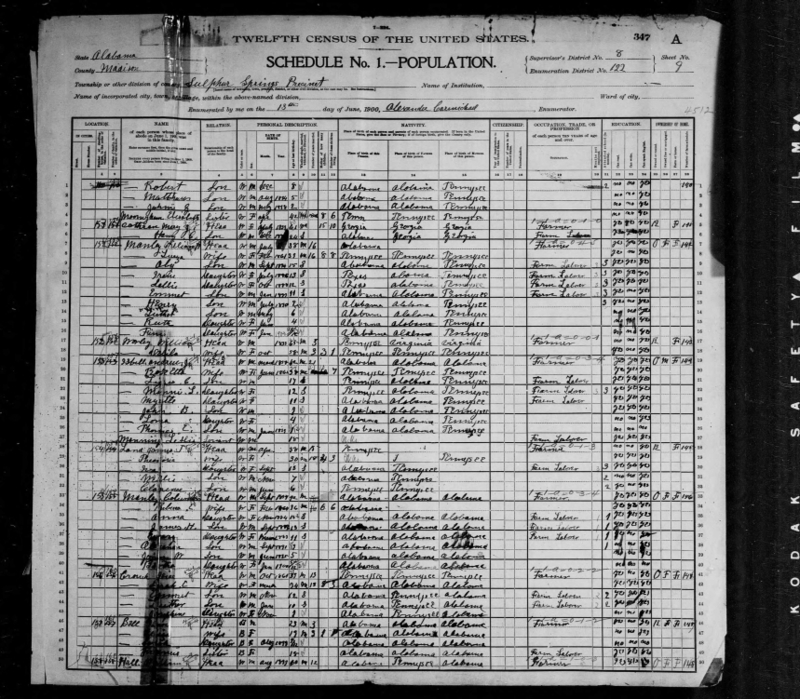 Year: 1900; Census Place: Sulphur Springs, Madison, Alabama; Roll: T623_31077_4119999; Page: 9A; Enumeration District: 0122; FHL microfilm: 1240029. 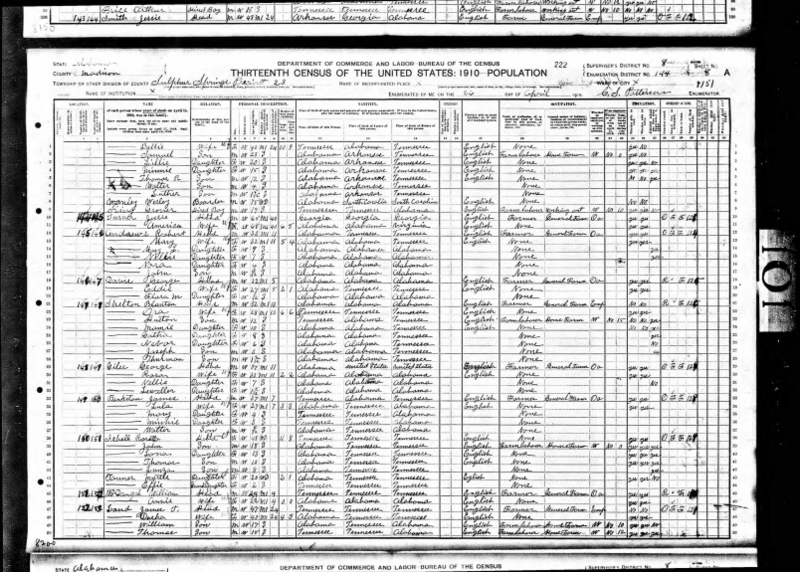 [S262] 1910 United States Federal Census, Database online. Year: 1910; Census Place: Sulphur Spring, Madison, Alabama; Roll: T624_24; Page: 8A; Enumeration District: 0144; Image: ; FHL microfilm: 1374037.